Diagnostic details are essential to planning the best treatment for each patient. Specialists at our Center for Liver Diseases — including University of Chicago Medicine interventional radiologists — use an array of advanced diagnostic methods to find the cause of an individual’s liver disorder and to determine the degree of severity. Sometimes we can address the problem during the diagnostic process, which helps patients avoid having to return to undergo multiple procedures. If you are being tested for liver disease, your doctor will explain which tests and procedures you will undergo and why. Our hepatologists perform upper endoscopies and colonoscopies to provide an insider’s view of digestive system structures. This is performed to locate and treat varicose veins within the esophagus. Our hepatologists use this non-surgical procedure to treat varicose veins that can cause gastrointestinal bleeding. Liver biopsies are useful for diagnosing liver cancer and other conditions. During the biopsy, a small amount of liver tissue is removed. UChicago Medicine pathologists use the most advanced lab tests available to analyze the tissue and identify cancer or other liver diseases. This comprehensive analysis reveals the type of liver disease as well as important details about its stage or severity, genetic abnormalities or other critical data. In most cases, your liver doctor will perform the liver biopsy. Paracentesis is performed to remove excess fluid that has accumulated in the abdomen because of cirrhosis or other forms of liver disease. This procedure can help diagnose the underlying condition and improve patient comfort. A transjugular intrahepatic portosystemic shunt (TIPS) may be implanted to lower pressure around the liver and reduce fluid accumulation in the abdomen. In addition, TIPS may be recommended for patients with uncontrollable severe internal bleeding from varices. 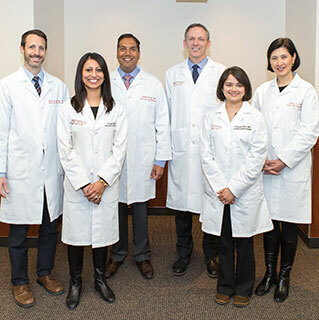 UChicago Medicine's Metabolic and Fatty Liver Disease Program is the first in Chicago and one of the first in the nation to bring together a team of specialists to pioneer the prevention and treatment of nonalcoholic fatty liver disease and nonalcoholic steatohepatitis (NASH).